I used the above picture for my post about buying an LG V20 because it was “cheap” for a high-end phone. Well, my V20 has now arrived, and once I got used to/found workarounds for certain LG quirks, I realized, hey wait a minute, the phone’s not so huge as the picture implied. 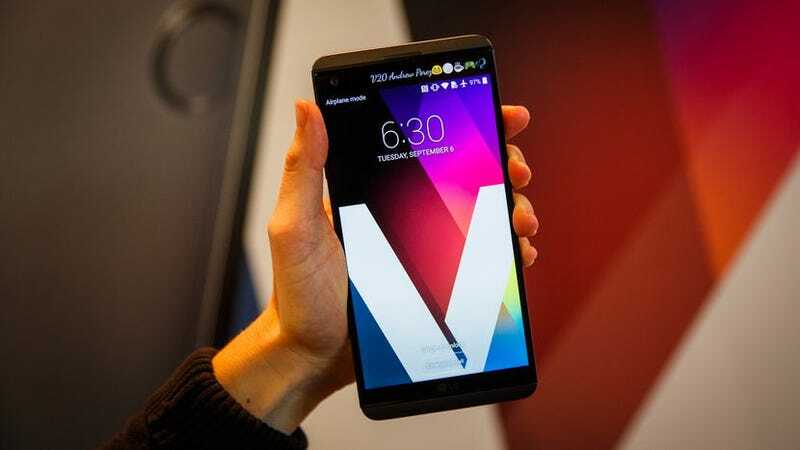 Turns out, the tiny hand picture, which I found through Google Image Search, is from CNET’s review of the V20 (beware, this link has autoplay video) written by a lady named Lynn La, whose hand may or may not be featured in the main image. I’m guessing the hand belongs to whoever this is on the left of this selfie since she’s wearing a a black sweater like the tiny hands LG V20 picture. Neither of the people in this selfie are adult human males with roughly average sized (for adult human males) hands.